Where Can I Access Live Forex Prices? Where Can I Get Live Forex Charts? 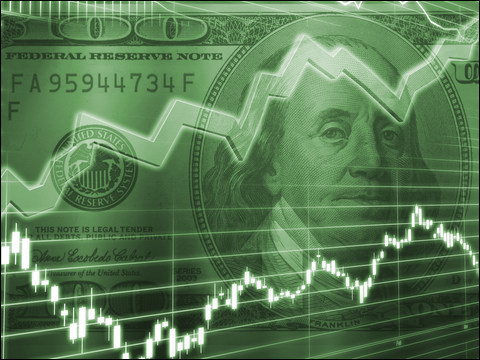 FinancialSpreads offer spread betting and CFD trading on over a thousand markets including the forex markets below. FinancialSpreads offers clients live prices on more than 1,000 spread betting and CFD markets including the forex markets listed above and numerous shares, stock market indices and commodities. Financial spread betting, including forex spread betting, is currently tax-free in the UK. Note though, tax treatment depends on the individual circumstances of each client and may change in the future. Where Can I Practice Spread Betting on Forex Markets? FinancialSpreads offers a free Demo Account so you can practice spread betting and CFD trading as well as test the trading orders, review the live charts and try new ideas on markets such as EUR/USD, GBP/USD, EUR/GBP, USD/JPY etc. The Demo Account is not restricted to the above; investors are also able to get trading experience across a large range of stock market indices and commodity markets. Clients can access live candlestick charts for numerous forex CFD and spread betting markets. This is a 'Rolling' spread bet and so there is no settlement date. If you haven't closed your trade and the session ends then your position will roll over to the next trading day. Note that if the trade is rolled over then you will normally either pay or receive interest for overnight financing based on whether you are speculating on the market to decrease or increase. To learn more also see Rolling Spread Bets. Trading Units: Spread betting trades on the EUR/USD market are made in £x per point. Where a point is $0.00010 of the forex pair's price movement. E.g. if EUR/USD changes by $0.00400 then you would win/lose 40 multiples of your stake. Stake Size per Unit: You decide how much you want to stake per point, e.g. £1 per point, £5 per point, £15 per point etc. Short Staking Exercise: For example, if you chose a stake of £4 per point and EUR/USD moves $0.00210 (21 points), you would win / lose £4 per point x 21 points = £84. Take Your Profit? You can decide to leave your spread bet open or close it, i.e. close your trade for a profit. In this example you choose to close your position by selling at $1.14680. Close and Restrict Your Loss? At this point, you may choose to let your spread bet run or close it and limit your losses. In this case you opt to close your trade and sell at $1.13352. Close for a Profit? At this point, you could opt to keep your bet open or close it and take a profit. In this example you decide to close your position by buying the market at $1.13341. Time to Restrict Your Loss? At this point, you may opt to leave your bet open or close it, i.e. close your trade to limit your losses. In this case you decide to close your bet and buy at $1.14536. Product Description: A Foreign Exchange Spread Bet is quoted as a currency pair, for instance GBP/USD, the British Pound against the US dollar. Objective: Allows investor to speculate on the price movement of an exchange rate without ever taking delivery of the currency over any period. Intended Retail Investor: Small to large scale investors who want to speculate on movements in the foreign exchange market. We offer a two-way price on a number of FX Spread Bets. For instance, GBP/USD 1.33560-1.33578. If you expected GBP to increase in value against the USD you would buy at 1.33578, if you expected it to depreciate you would sell at 1.33560. You would nominate the stake per tradeable unit, in this case it would be the amount you wished to stake for each 0.0001 movement in price. Let's say you chose to buy a stake of £10 per unit at 1.33578. This would equate to a notional value of £133578 (13357.8 units multiplied by £10). In order to place the trade we would require margin on your account of 0.5% of the notional value of the trade, which equates to £667.89 in this case. In the above example, the value of your open position would increase by £10 for every 0.0001 increase in price and decrease by £10 for every 0.0001 fall in price. The principle cost or commission of trading Spread Bets is incorporated in what is known as the Spread, which is the difference between the sell and buy price. The Spread is fixed and can be viewed, along with other specific product information, here in the Market Information Sheets. There is a cost of holding FX Spread Bets overnight, known as the Overnight Financing Charge. The effect of these adjustments is to mirror the effect of us financing the asset in the underlying market on your behalf. When holding long positions your account will typically be debited with the charge and, when holding short positions, may lead to you being credited with the charge but it will depend on the relative interest rates of the countries of the currencies involved in the trade. For more details about the above report, please see our Commitments of Traders (COT) Guide.